Rich chocolate stout brownies, with a jolt of Guinness, are topped with a fluffy mocha frosting! Let’s talk brownies and St. Patty’s Day. 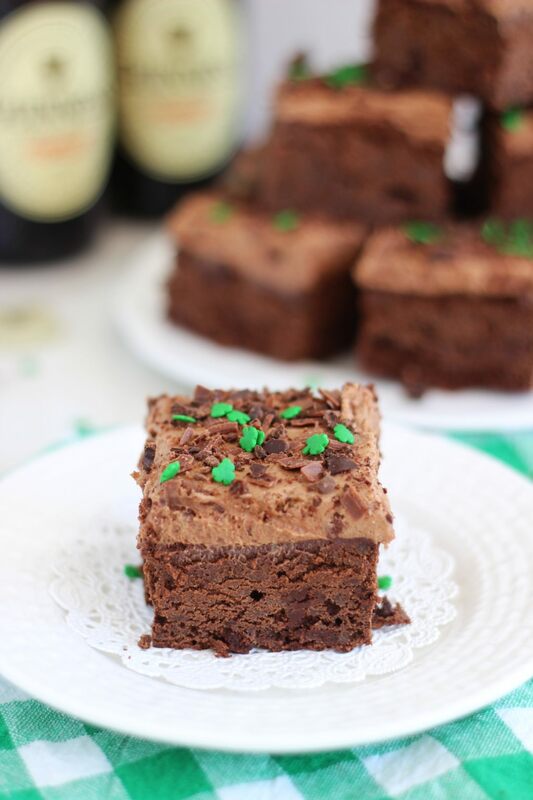 Last year I made these Malted Bailey’s Irish Cream Brownies with Chocolate Irish Cream Frosting in anticipation of the holiday, and they were wildly popular. One of the most popular recipes of all of 2015, in fact. 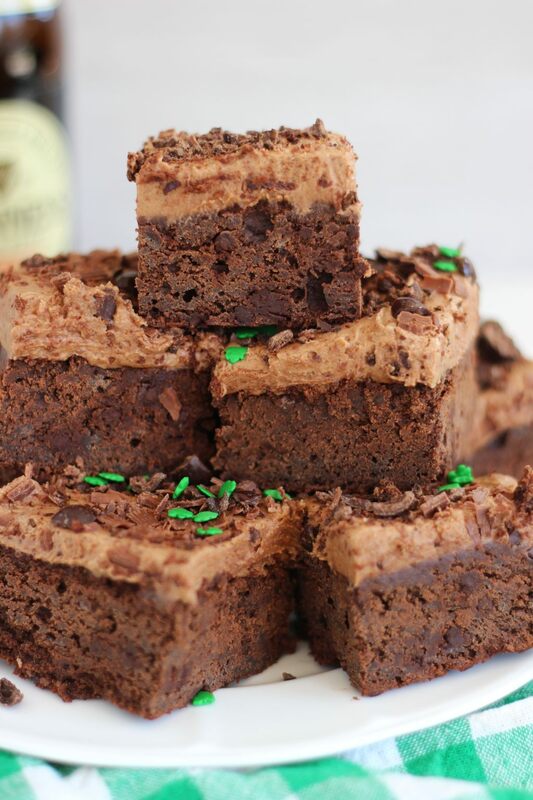 I wanted to make brownies again for St. Patty’s Day, because, let’s face it, brownies are a crowd-pleaser and a perfect party food – I never went to a party and was disappointed to see a brownie tray! Sure, they’re not fancy, but they’re a certain hit. Who doesn’t like brownies? No one. 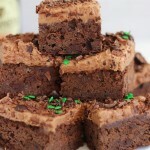 I made these with all of the St. Patty’s Day flavors that I didn’t put in last year’s brownies. Namely, Guinness, and coffee. Maybe coffee isn’t outrightly a St. Patrick’s Day thing, but it certainly does tie-in pretty well to all the other traditional St. Patty’s flavors, so I’m putting it in that category anyway. I made these brownies from scratch! That’s a pretty huge deal because I’m really married to box brownie mix. I just think it doctors up so easily. But these: no shortcuts taken. 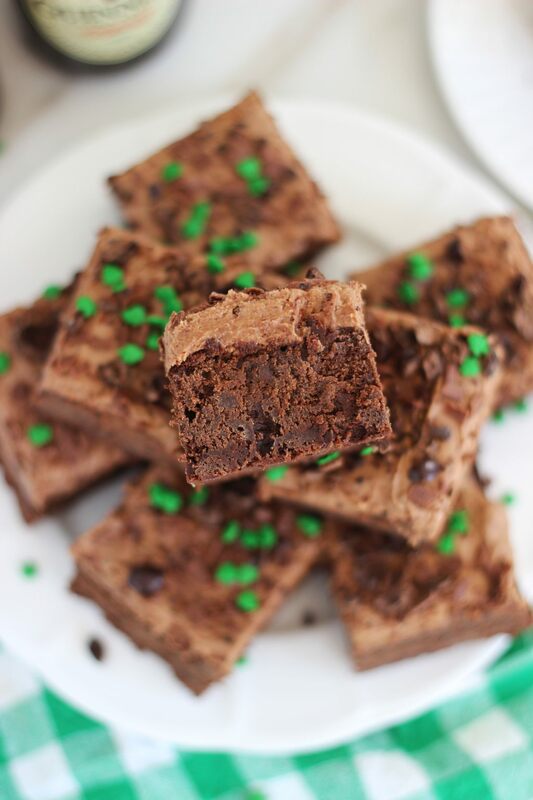 There is a heap of cocoa in the batter for these brownies, as well as 3/4-pound of melted semi-sweet chocolate, so they are strong on chocolate! You can’t make them much richer or more chocolatey than these. They’re also chock-full of mini semi-sweet chocolate chips, and what I love most about using the little chips is that they melt and disintegrate into the brownie almost entirely. It makes them fudgy and melty in every single crevice. The Guinness in the batter is the absolute perfect amount. It’s strong enough that you sink your teeth into the brownie and you know there’s stout in there, but it isn’t bitter or overpowering. Put it this way: if you’re like my mother, and you absolutely loathe beer, you will still like these. 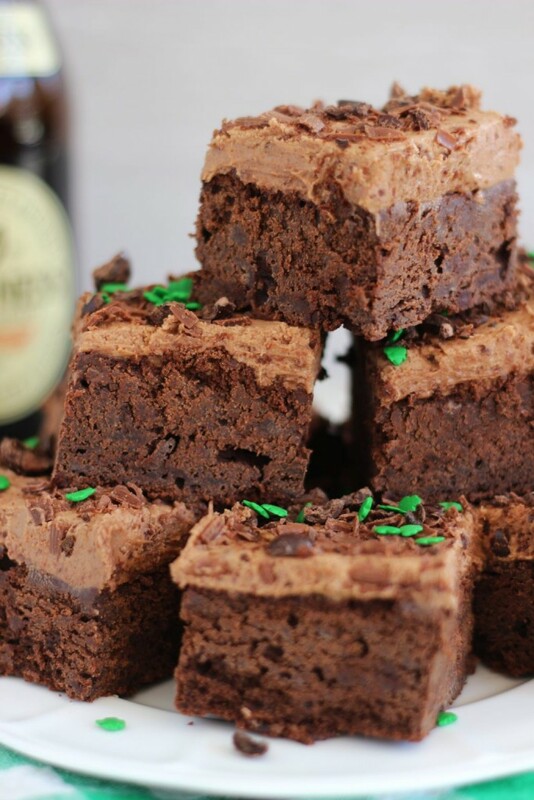 It enhances the brownies, without tasting like you’re chugging Guinness out of the bottle. You get me? It’s just right. And the deep flavor of the stout complements the chocolate and mocha nicely. 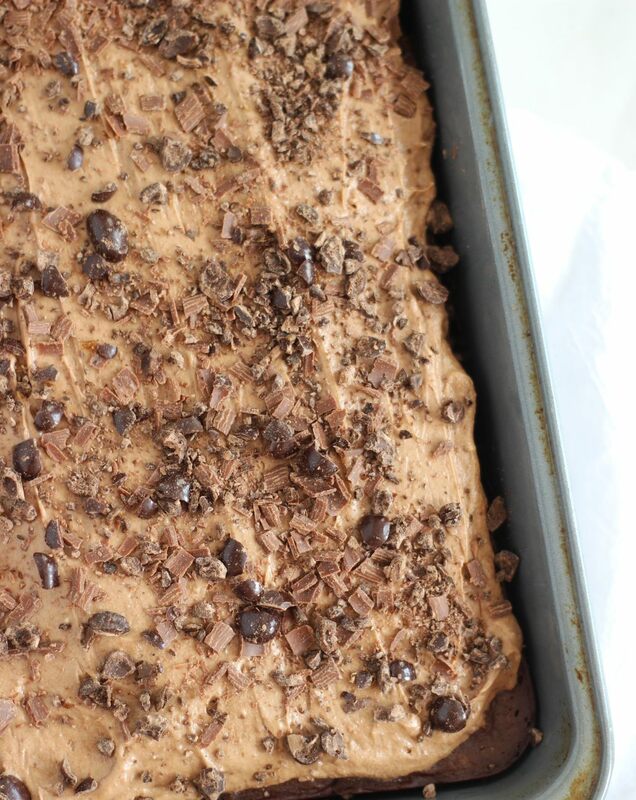 The brownies are topped with a thick layer of fluffy mocha buttercream and lots of chocolate curls. 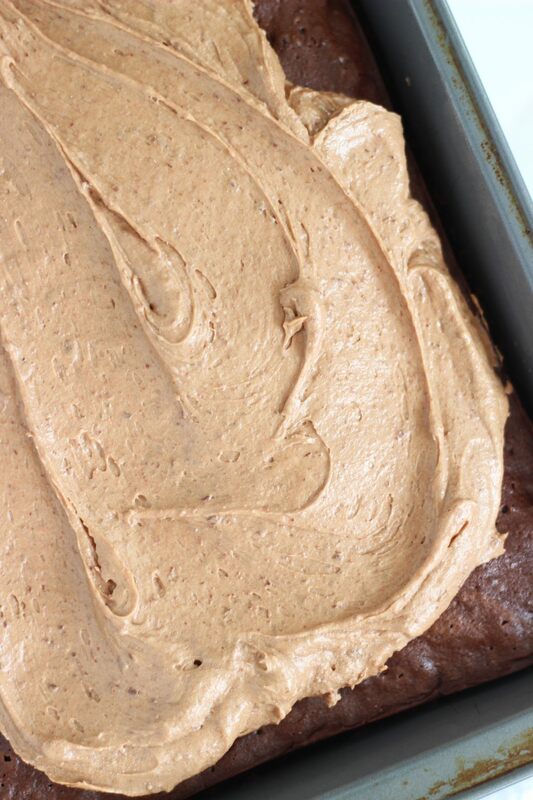 With both cocoa and coffee in the frosting, it tastes amazing with the rich chocolate and stout brownies! In a small bowl, whisk together flour, cocoa powder, and salt. In a medium microwave-safe bowl, combine semi-sweet baking chocolate and butter. Heat on medium for 30-second intervals until melted and smooth. Do not overheat or burn. Cool to tepid. In a large mixing bowl, combine sugar and eggs, beating until combined. In a slow drizzle, add the melted chocolate mixture to the mixing bowl. Add the flour mixture and Guinness alternately, in 2-3 additions, beating until just combined. Pour batter into a well-greased 9x13-inch pan. Bake at 350 degrees for 25-30 minutes, or until a toothpick inserted near the center comes out clean. Remove to a wire rack to cool completely. Meanwhile, prepare frosting. In a large mixing bowl, beat cream cheese and butter until smooth. Add powdered sugar and cocoa powder, and beat until combined. In a small bowl, combine instant coffee granules and water, stirring until coffee is dissolved. Add to mixing bowl, and beat until frosting is light and fluffy. Frost the cooled brownies. Top with chocolate curls, if desired. Enjoy! 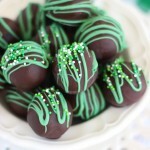 St. Patrick’s Day Recipes Desserts Round-up! I love these, pinning and sharing! What a great way to celebrate St. Patrick’s Day! 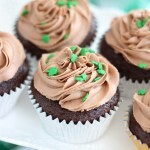 The mocha buttercream frosting looks amazing! 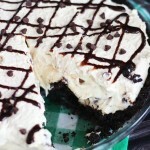 Thanks for sharing at Oh My Heartsie Girls Wordless Wednesday! OMG – I am starting Weight Watchers today and this is torture! 🙂 Not really – they look so delicious. And my husband LOVES Guiness! Pinning to my sweets board for the next time I bake! Haha! 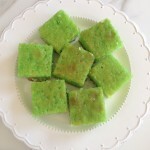 You still have to splurge once in a while, so you can make these a special treat!!! 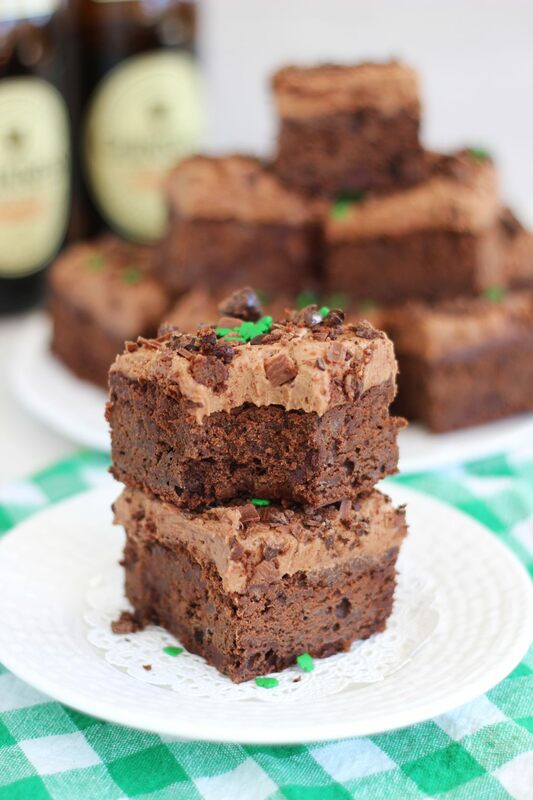 I haven’t used Guinness in a brownie yet, just a cake and I loved the flavor – I’m sure it add a depth to your brownies. They’re just gorgeous! Thanks for sharing on our Throwback Thursday link party last week and I can’t wait to see what you have for us this Thursday! 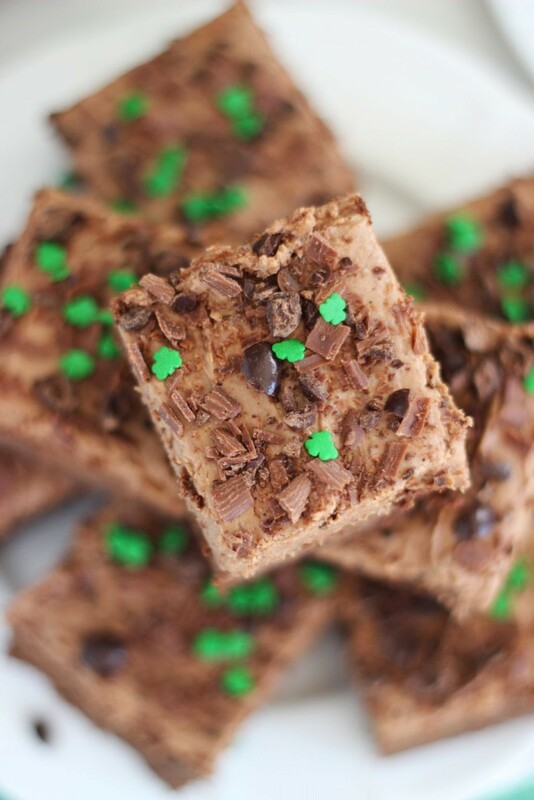 This sounds so delicious and a definite must-try for St. Patrick’s Day. Definitely pinning and sharing this awesome recipe. Thanks for joining us last week on #shinebloghop! If I wasn’t sold on these already at the top of the post (which I was, but IF I wasn’t) your description would have hooked me for sure. I’m totally salivating. Thanks for bringing these to #SaucySaturdays.